In your capacity as training manager, in this program you will learn the practical methods, voice techniques and the ideas that proved to be effective for the institutional training management ensuring concrete and final results. This program helps the training managers to prepare themselves to be effective producers through their work results, in addition to developing the policies and procedures necessary to ensure the suitability between the initiatives, learning interventions and work needs, the support from the senior executives, providing efficient and effective administration, linking learning to a measurable tool and expanding the scope of what is provided by the post-training department in official classrooms. 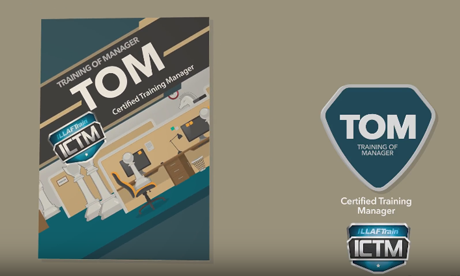 For training managers who want to deal with the challenges facing training management these days and to any person responsible for training management. Develop the vision, mission and function of the statement of priorities. Determine how to use the management systems’ checking tools to measure his own function, and identify the development areas. Use eight steps in the consulting process. Use techniques to anticipate the changing training needs in the institution. Determine when to use eight types of evaluation tools to identify the training needs. Determine the difference orientations in training and development. Practice how to get the management’s commitment to improving performance. Use a nine-part plan to build agreements and work successfully with the executive managers and employees. Distinguish how to work to achieve results, not only training activities. Determine the basic components of the performance improvement plan. Determine the techniques necessary for marketing his own training function. Evaluate the supervision and development of the employees’ training using one hundred efficiency tools. Create a work plan to achieve results. Use four basic techniques to prepare learners for training. Identify the techniques to rationalize the training cost and monitor the training budget in classrooms and training programs via the Internet. The recent trends in training. Identifying the basic roles in training and development. Determining and setting the priorities of your vision, mission and training function. Tips to maintain your discipline for being an individual in the group. Performing the review systems of the training department. Managing and developing the training employees. Determining your place in the management training’s life cycle. Balancing between the traditional training and the performance consulting techniques. Using a continuum of internal consulting roles. Analyzing your role in the organization. Using the eight-step consulting process. Distinguishing between the trainer, the consultant and the change leader. Evaluating the human resources department function. Studying the manager role using eight tools to control the training department. Identifying if training is the solution. Making vague training more accurate. Sorting the training needs and the things we want. Using the training design tools to diagnose the problems. Determining the ten performance components to improve the plan. Determining if the available materials will be used or if new materials will be created. Determining standards to review the training suggestions. Using a tool to balance among the training techniques. Ensuring your style of influence. How to establish credibility with executive managers. How to be more responsive to the organization. Increasing your power of influence on others. Applying strategies to promote the program efficiently. Defining the transfer of learning. Determining the obstacles that prevent the transfer of learning. Identifying who will take charge of the application of what has been learned previously. Discovering four basic tactics to build the groundwork before training. Clarifying how to involve pre-training managers. Eight basic tips to prepare the employee before training and follow up with him after it. The extent of the manager’s influence in providing criticism. How to perform an evaluation of the learning transfer measurement. Techniques to determine the expectations that work on the improvement and retention of learning. Developing work plans to keep everybody on the right track. How to determine the training cost. Creating a structure for the training cost. Performing the analysis of costs and return on investments. Finding the performance indicators to prove the benefit of training.